Tulip Flowers – Popular Spring Flowers! Tulip flowers are very popular spring flowers. They are available in a great variety of colour and shapes. The flowers are cup-shaped and can be double or single, fringed or twisted. The best time to plant tulips is in late autumn before the first frost. They need cold winter months to stimulate sprouting and flowering. If you live in an area with warm climate you should chill the bulbs before planting them. Dig a hole that is about six inch deep and place the bulb into it. The bulb should be placed faced up. Loosen the soil below the bulb a bit; this will help the roots to grow more easily. Then, cover the hole with soil. Do not water unless the soil is very dry. The bulbs may rot when they are exposed to too much water. A healthy bulb is firm. Do not plant a soft bulb, as it may be rotten. Plan to plant tulips in clusters, when they bloom they look better in a group. You can plant them all in one hole; yet, the bulbs need to be about four to six inches apart. 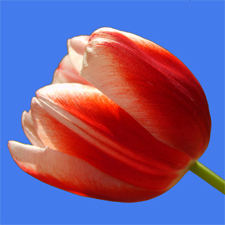 Growing tulips is easy and even unskilled gardeners will have no problems growing them. When the bulbs are planted just wait until spring: Suddenly the tulip flowers will sprout, grow and bloom. Enjoy them in your garden or decorate your home: they make excellent cut flowers and keep in a vase for about a week. 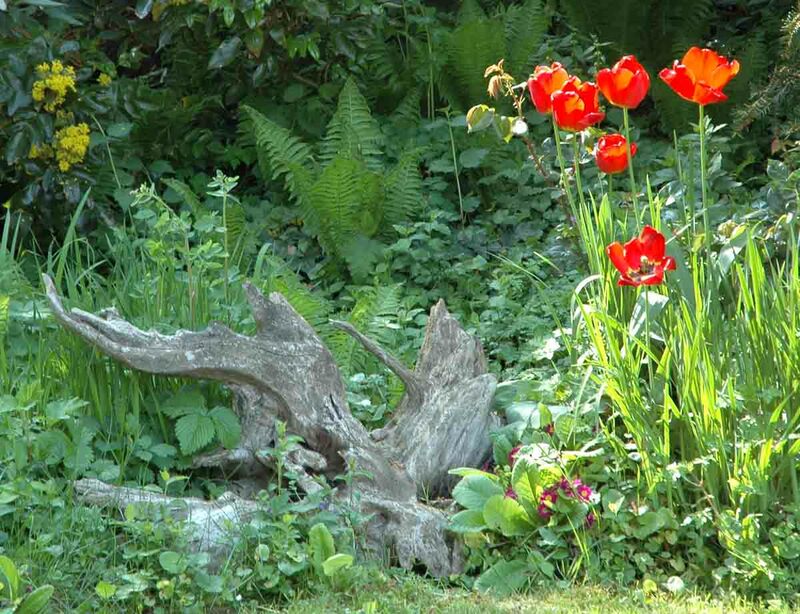 When the flowering period is over you should deadhead your tulips, but let the leaves die naturally. This practice restores the energy in the bulb, else the energy would be used to grow and feed the seedpod. Wash the bulbs and let them dry. Then, keep them in a dry and cool place. A good place is in the drawer of your fridge, but keep them away from fruits and vegetables. Also, they need to be ventilated so, don’t put them in a plastic bag! I you don’t want to keep them in the fridge you should put them in another cold and dry place like a basement. If you are a lazy gardener you can leave the bulbs in the soil. I experienced that they will grow and flower again next spring! If you take good care of your tulips they will bloom again next year.